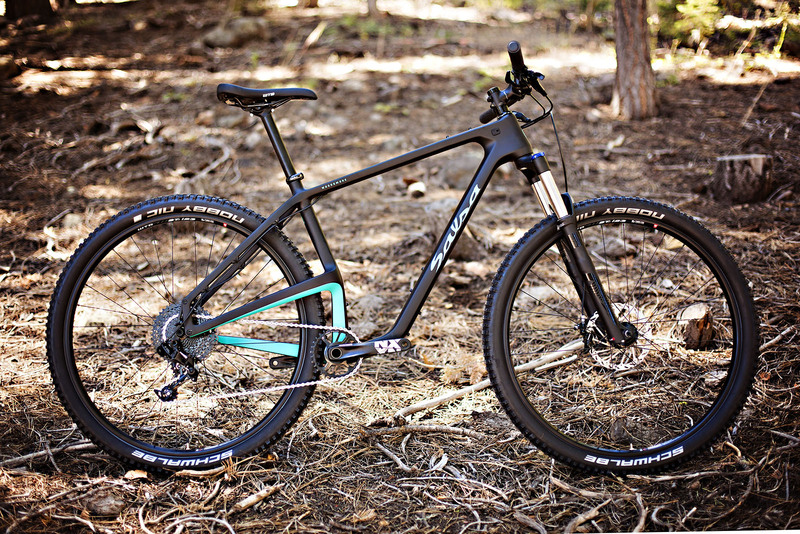 The top-of-the-line X01 build, shown here with 29-plus wheels, includes a RockShox Pike RC, SRAM Guide RS brakes and a SRAM X01 drivetrain with some X1 bits mixed in. 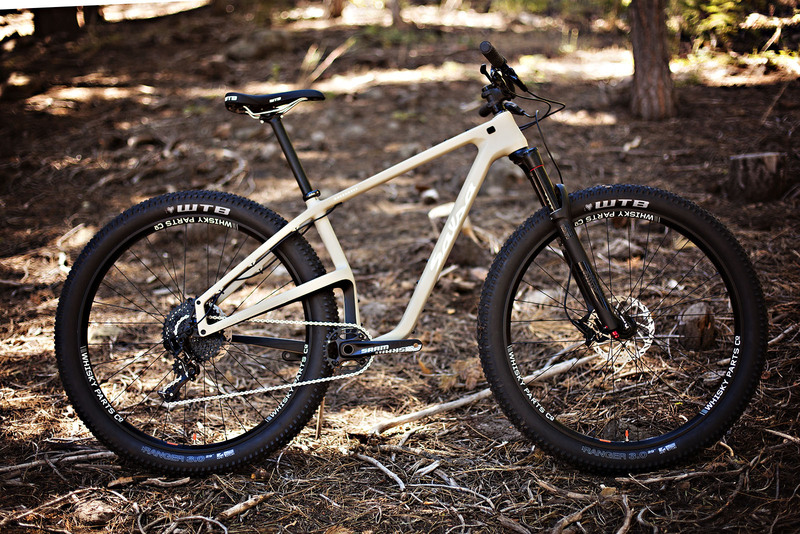 The wild-looking Woodsmoke is a new addition to Salsa’s mountain bike lineup. 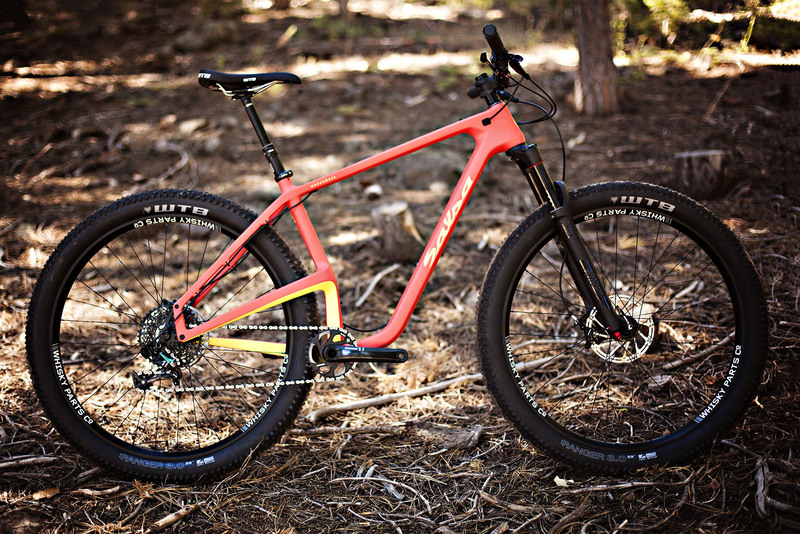 Designed around a carbon-fiber frame, this hardtail can run 27.5-plus, 29-plus to regular 29er wheels. 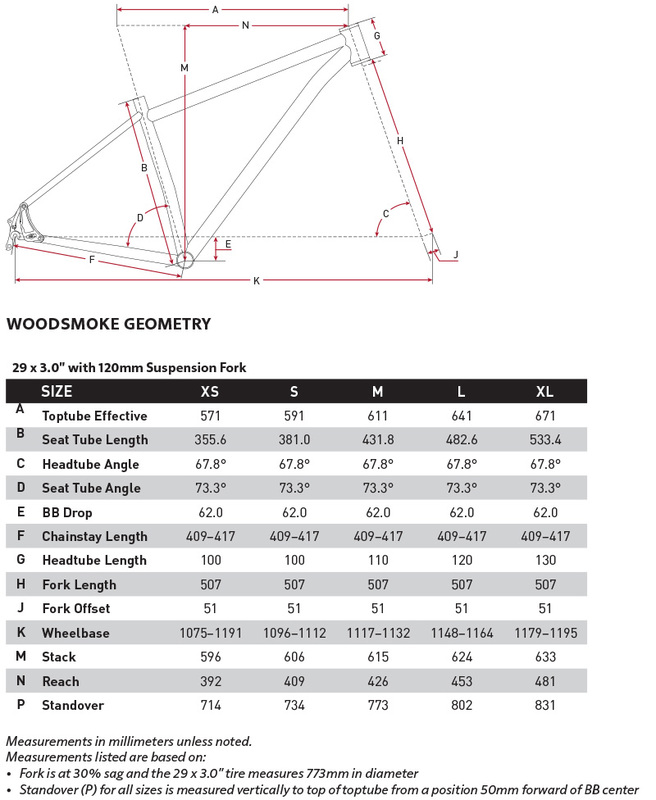 Salsa paired the various options in tire size with progressive geometry to form what will likely be a versatile hardtail. The top-of-the-line, $4000 X01 build, shown here with 29-plus wheels, includes a RockShox Reverb dropper, 120-mil-travel Pike RC fork, SRAM Guide RS brakes and a SRAM X01 drivetrain with some X1 bits mixed in. 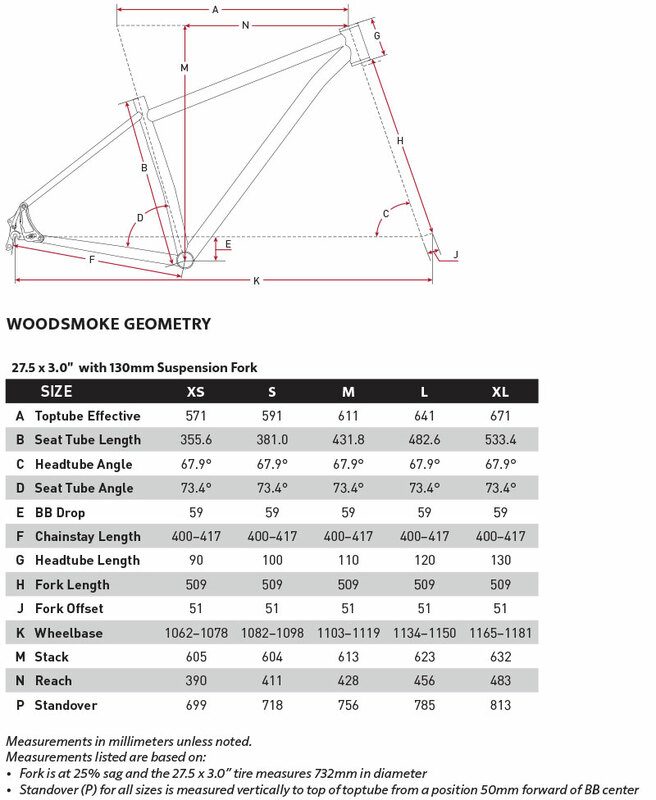 Geometry highlights include long reaches, head angles ranging from 67.8 to 68.4 degrees (depending on wheelsize) and chainstay lengths between a ridiculously short 400 millimeters to a still-stubby 417 (also depending on wheelsize). Those short stays, which are adjustable via Salsa’s Version 2 Alternator Dropouts are made possible by the elevated drive-side chainstay, which also allows for the Woodsmoke to run a direct-mount front derailleur. The $3000 GX1 build kit gets a 120-mil-travel RockShox Yari RC, SRAM GX drivetrain and Level brakes. Salsa will sell five complete builds–there are $3000 and $4000 options in both 27.5-plus and 29-plus wheels and a $2000 build with traditional 29er hoops. Only offered with traditional 29er hoops, the $2000 NX1 kit sports a primarily SRAM NX drivetrain, Level brakes and a Salsa cockpit.